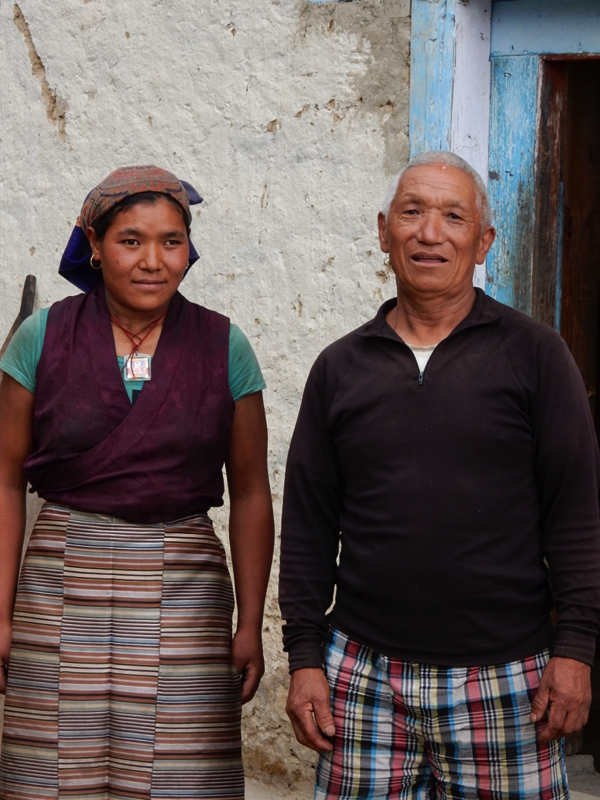 Tendi and Kanchhi, husband and wife have no children, but Dorji who is Tendi’s father, and Phuri, Tendi’s mother, all live together in the 3 story house. They would like to have another 3 story house built as a replacement. At the time of the third quake, she was on the top floor of the family house and then ran out to see the house shake and sway. The family put up a temporary shelter after that quake and have been living in it ever since. “I’m very frightened by quakes and life has been difficult since last one. I’m very scared and afraid most of the time,” she said. She had no answer to the question if she could imagine a time when life returns to normal.